Hey guys, post your used Fiddlebacks here for sale or trade. Be aware that you have to have a paid membership (gold or better) to sell or trade at Bladeforums. I think that is 1/8" thick. Looks great. Thanks for posting it. Hidden Tang KPH with Black Micarta handle. The blade is 1/8" thick O1, the whole knife weights only 3.9oz. It's a light knife. The knife has been lightly used and sharpened. I got it from Last years Bladeshow Sale. 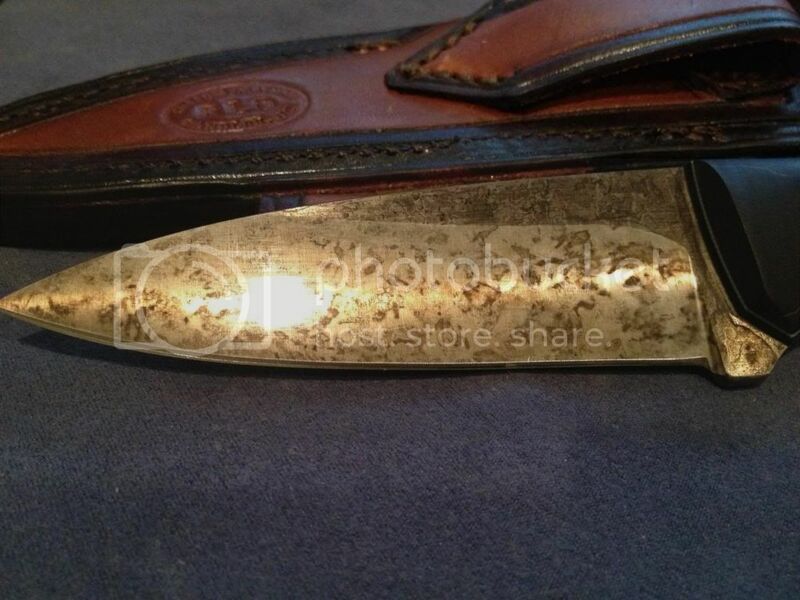 The blade has developed a light patina, which you can see in the pictures. I'd like to trade this knife if possible. 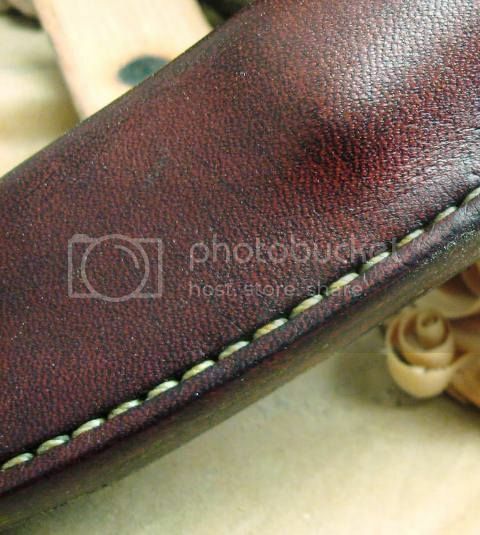 Am interested in small Fiddlebacks, mainly interested in a Bushboot, Hiking buddy, Ladyfinger or Recluse. Something good for EDC/General Purpose use. . . I'm willing to sell, asking $220 delivered. If you have any questions or need better pictures, let me know. . 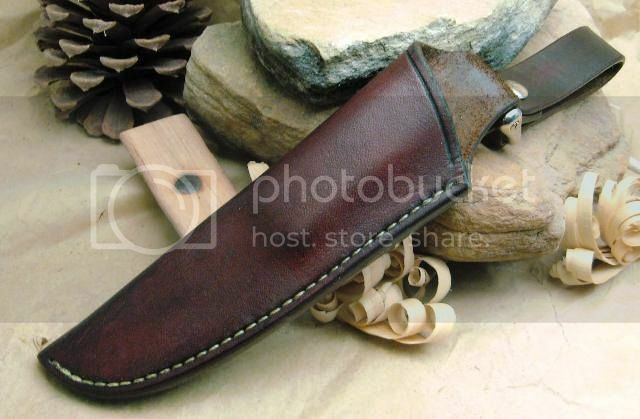 If you're interested in the knife with a sheath, I'll make you a good deal on one. NOW SOLD. 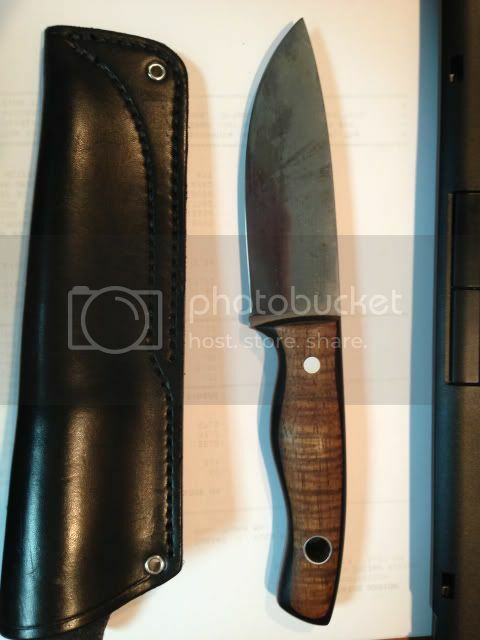 I've posted a matching set of Fiddleback Forge knives, a Kephart and a Hiking Buddy, with Ironwood, white pin stripe and black liners, tapered tangs, unused, uncarried, unsharpened, for sale on the BF Exchange. Photos included. Bump. 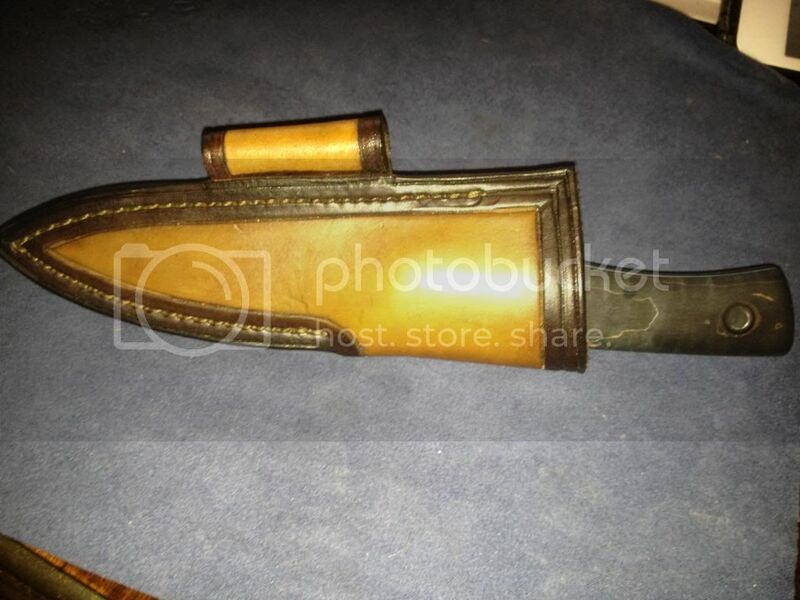 I price dropped my Kephart listed above down to $280. Thanks! Hopefully this is ok . 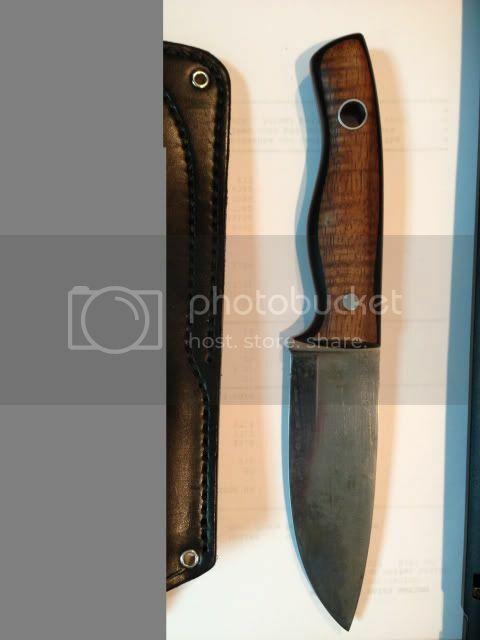 I would like to try and get my hands on a Kephart or Bushcrafter model. I don't want wooden handle scales really. I would prefer canvas ect./non scandi ground. I have a 16" machete that I would like to trade for a 14". Razor sharp with tan Micarta. Apparently I posted an item for sale in here thinking it was ok to do in the Fiddleback Flea Market. I did not realize I needed to be a Gold member to do this. My apologies to you Andy and others. thanks. You have to be a gold member? Is that a Bladeforums rule or Fiddleback rule? I missed it in both cases. I'm considering trading my beautiful Ladyfinger (O1, 5/32", convex, Maple handles) for another convex 1/8" Ladyfinger (will also consider a convex 1/8" Recluse). 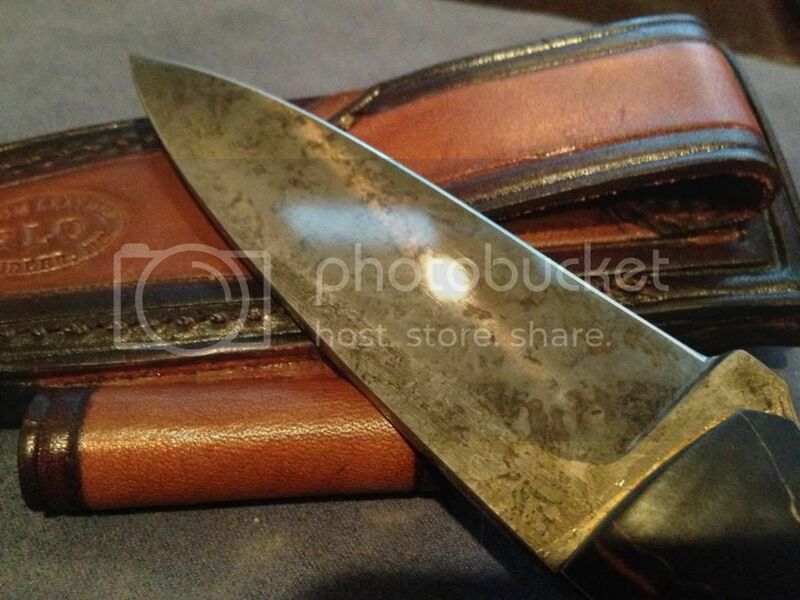 Has been used and sharpened, but not damaged in any way. This is a Blade Forums rule. 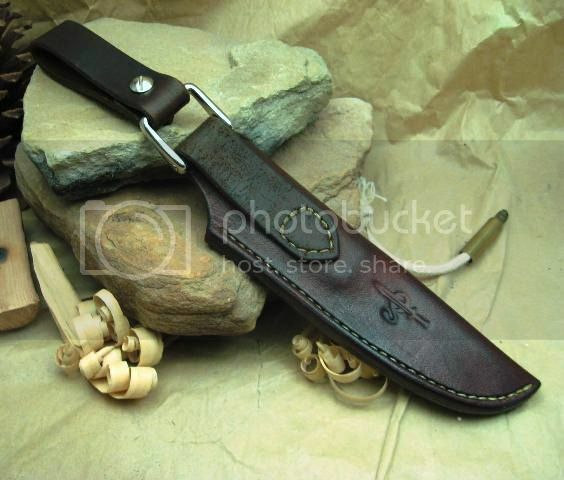 Hey - this isn't a blade but a sheath. 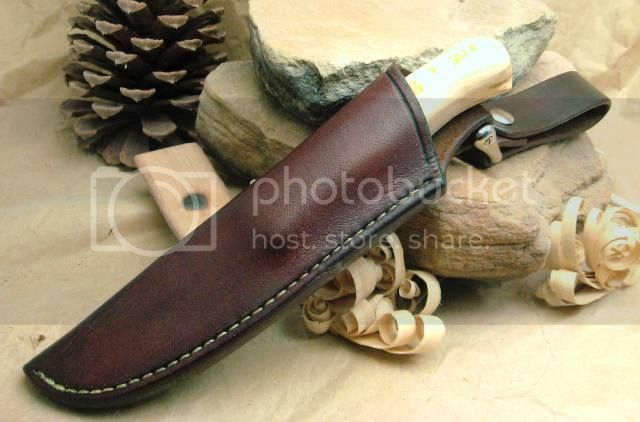 LEFTY - Fiddleback Hiking Buddy Sheath. 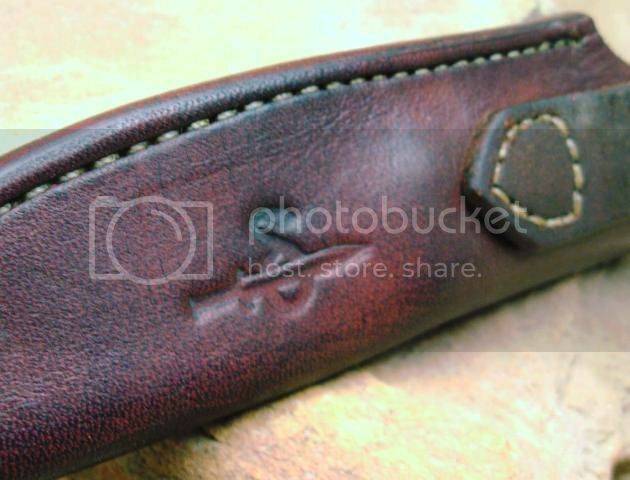 8-10 ounce leather (Wickett and Craig) - brown - three coats of Montana pitch blend - single stitched - with Dangler. 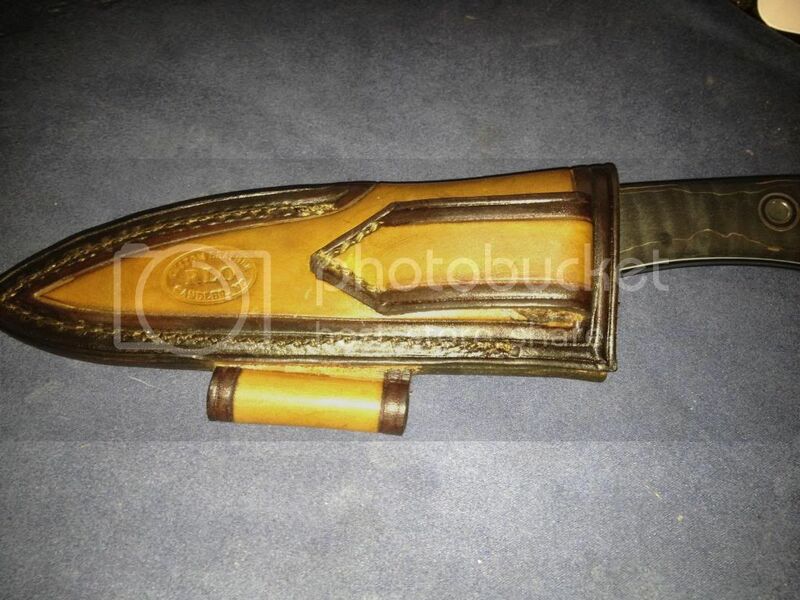 For sale is a basically new Three finger Joe with a neck/pocket sheath. 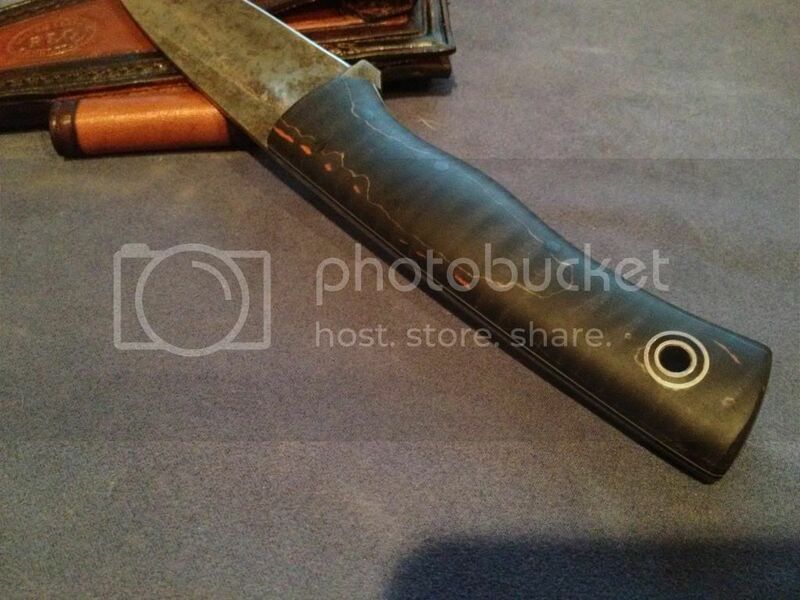 The handle is white linen micarta with orange and natural liners. I only used this to slice some paper to check it out. Scandi grind. $180 includes shipping in CONUS and no Paypal fee. I have a Hunter that I would like to trade for something smaller like a Hiking Buddy or Bushboot but I am open to other possibilities. Could throw in a FF machete as well to sweeten a deal.
. Not sure what happened to the second pic but it got cut off a little. Guys, be aware that you have to have a gold or better membership in order to trade or sell at Bladeforums. I want to say also that it is worth it. Spark has provided us with the absolute best and lowest cost forum I am a member of. Please support him.